From owing countless dollars on student loans to their monthly rent, it is a common problem for people to run away from their financial obligations. At United Credit and Collections Inc., our professionals offer comprehensive Credit Bureau reporting as well as skip trace analysis to locate the culprit, so you receive your payment. Trust United Credit and Collections Inc. to help you receive the full payment for your accounts. 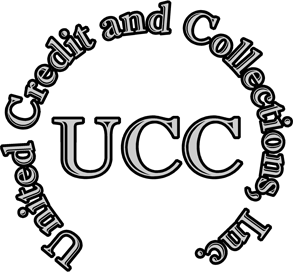 Since 1974, United Credit and Collections Inc. is a full-service debt collection agency for businesses and professional entities throughout St Charles, Missouri. With more than 40 years of experience in all types of collections, our certified debt collectors specialize in judgments, apartments, student loans, and retail accounts. Unlike our competitors, we offer our collection services for the lowest rates possible. Our clients appreciate not having to jump through any hoops to receive the quality, personalized support they deserve. We are always available to assist you, and we provide an immediate turnaround for our services. Our professionals are well-equipped with the knowledge and skill needed to get the job done. **This is an attempt to collect a debt. Any information obtained will be used for that purpose. United Credit and Collections Inc.